Many companies have dreamt about moving off of their legacy data warehouse platform on to Hadoop or the cloud. The hope was that the new technologies would offer a more flexible, scalable and affordable platform for big data analytics. The problem was that migrating from the existing systems to the new environment proved to be extremely difficult. 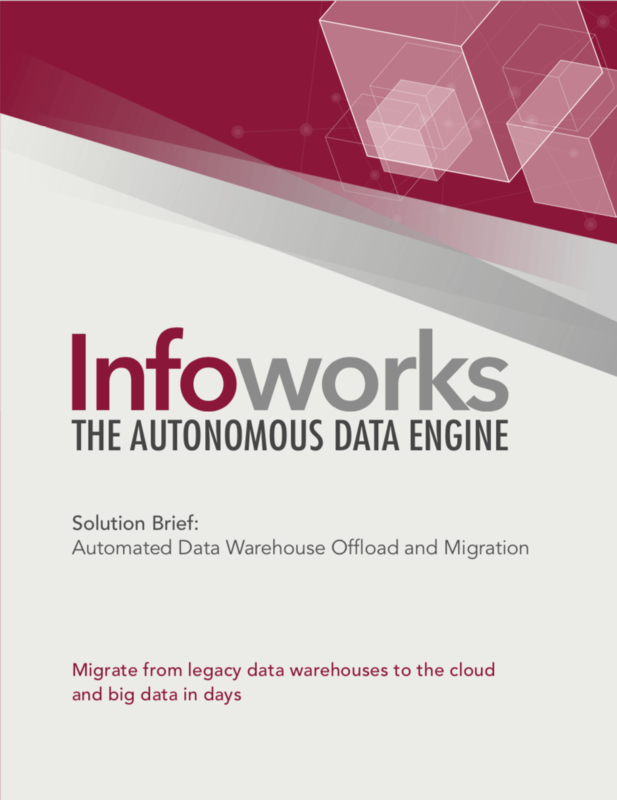 Fortunately, Infoworks automates this process making it possible to migrate legacy data warehouse workflows to big data platforms in days and weeks instead of months and years. Read on to learn how.